Your money horoscope mixes astrology with a little clairaudience, so listen carefully—the Universe is playing your song! Venus forms a lovely trine to financially-savvy Jupiter in Cancer. Like the Beatles once said, “All You Need is Love.” Remember, if you’re busy hugging someone, you can’t reach for your wallet. On Saturday, Venus squares with Mars in luxury-loving Leo, which reminds me of another Beatles song, “Can’t Buy Me Love.” Trying to buy someone’s affection will probably result in the exact opposite of the desired effect. When Mercury enters Scorpio on Sunday you’ll easily come up with creative ideas for bolstering your savings. Scorpios are gifted at putting money aside when there’s a goal in mind. What are your financial goals? Saturn, Venus and soon Mercury crowd your house of shared money. Keep vigilant in your budget as some unforeseen, family-related expenses continue to pop up without notice. Though tempted to release work-related frustrations through retail therapy, this is not the week for the bull to charge. Get cozy on the couch instead. On Thursday, Venus and Jupiter help you add passion to financial endeavors. Starting Sunday Mercury helps you streamline your process—time is money, and your aim is to spend both wisely. What’s in your financial future? Psychic Ginger ext. 9344 knows! If you’ve been traveling or just getting out more, you’ll now be anxious to get home and cash in on the inspirations borne of recent adventures. Mercury in Scorpio feeds your creative drive. With Mars still in your sign, remember to consciously slow down on spending even if you think it adds lasting value to your home. 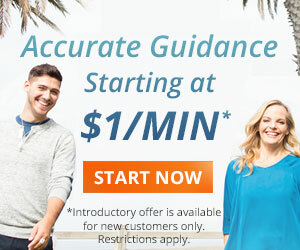 Get a hand on your financial situation! 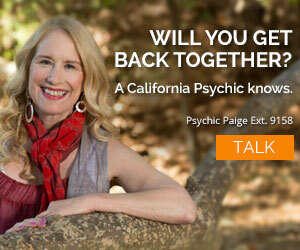 Get financial insight from Psychic Reed ext. 5105! 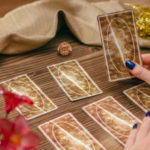 A short trip, a recent endeavor or even something you’ve written could bring unexpected luck to your money horoscope as early as Thursday. With plenty going on in your house of attracting wealth you are probably one busy person, but think of all the bills you’ll be able to pay off. The tension of Mercury in your 12th house is about to subside. 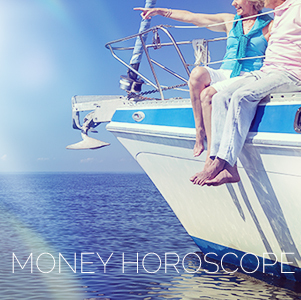 As it moves into your own Sun Sign, Mercury will bless you with plenty of money-making ideas. Ne sure to write them all down. Once Mercury enters Scorpio on the 29th, your money horoscope drama will soon be a thing of the past. If you’ve lent money to a friend, you may have to consider it a parting gift. Avoid the urge to splurge this week especially while Mars remains in Leo. Use the lovely union of Venus and Jupiter to get reacquainted with love instead. This week Mercury moves into your career house which means next week would be a great time to take a project to the next level and your salary along with it. You’ve certainly had a busy summer, Pisces, and the refreshing autumn vibe may prompt you to budget for your next vacation—even if you’re on one already. Need a hand tapping into the future of your career? Call Psychic Ariel ext. 9775! I lost my job in march13.when will I get the job,I am in trouble. Hello Readers – Thank you for all your comments and questions – I wish I could address them all. What I will say for those of your having money problems is that you’re not alone – that may make you feel like you’re in good company, but it may not make you feel better. As hard as it may be I want you to do two things – first, stop concentrating on money – I know it sounds counterproductive but it’s really not. Focusing on what you don’t have is counterproductive. Second, be grateful for what you do have – thank the universe for a close family member, a loving relationship, a reliable friend and thank it for your creative mind. Then tell the universe your dreams for the future – speak them aloud and with good intention – and also, do your part to make it happen. Find your passion and make it happen. You are more powerful than you realize and you can create your own destiny. Thank you – and bless you. I am an Arien ,and wonder the forecast,money is already on the flow,for the unforseen family thing. The horiscope people is not something you are praying to for help. It is not God. Don’t be confused. It is a guide only. Pray to God for your needs. why so hard for me to solve my financial problem and it seems it just rotating. ?can you help me to the mis fortune of my financial matters..
My business is n the doldrum pls help! I AM intending Divine infinite blessings, praises, gratitude, appreciation, love, light, peace, surrender, wholeness, total well being/doing/having, ascension, and oneness with/to/for ALL wealth, abundance, prosperity, riches, affluence, money ever-increasingly to/for ALL, eternally. I want some advice from you..my love life is not good..and my financial situation is bad..i want more blessings come to my life..pls forcast my financial future.. Thank you so much … I just need another job a good paying …..to work for the state please help!!!! Then I won’t be so depressed…. Once a month …. It would be nice to win some money. cut unnecessary spending and save. Have no money right now & no job. Need help desperatly. Can not pay rent or bills. IM n serious need of money please please help me I’m disabled. I am desperate of my bills. Please I need help financially. please emphasis more future life, and whom the future partner. and how about travelling in the future? do i still have a chance to travel in other country ?